At least 32 people were killed and more than 300 injured, authorities say. The victims span 40 nationalities. Their stories are emerging as loved ones struggle to know more. Click or tap a name to learn more. Adelma Marina Tapia Ruiz had lived in Belgium for six years. Originally from Peru, the 37-year-old, her husband, Christophe Delcambe, and twin daughters were waiting to board a flight to New York for an Easter holiday family reunion at the time of the attack, according to Peruvian media and CNN en Español. The daughters and husband left the boarding area. And in that moment a bomb exploded. Her family survived. One of the girls injured an arm but is doing better, her uncle Fernando Tapia told Peruvian media. 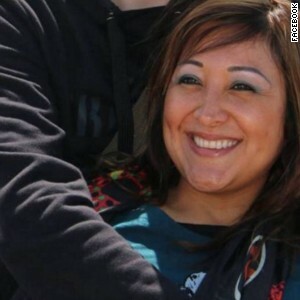 Tapia Ruiz and her husband met on a bus during a tourist trip in Puno, Peru, her brother Rudy Tapia said. 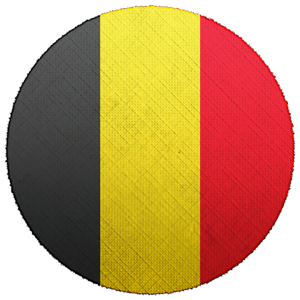 They moved to Belgium. She studied to be a chef and dreamed of opening a restaurant that served Peruvian food, he said. She worked with the Peruvian Consulate in Brussels to promote Peruvian food. Law student Leopold Hecht was killed at the metro station, his school, Universite Saint-Louis Bruxelles said in a statement. Olivier Delespesse was killed in the metro station attack, his employer, La Fédération Wallonie-Bruxelles, said in a statement. 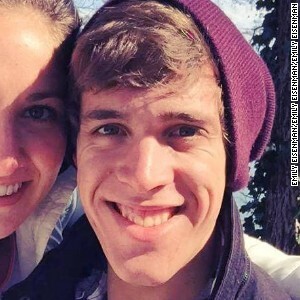 Belgian national Bart Migom, 21, has been confirmed dead, according to family members. 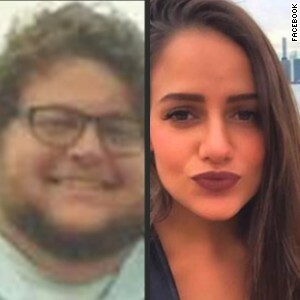 Migom was to fly out of Brussels on Tuesday and eventually make his way to Athens, Georgia, but he never arrived, his girlfriend Emily Eisenman, 21, told CNN. “Last time I heard from him was (Tuesday). He was texting me from the train on his way to the airport in Brussels. He was supposed to send me a picture of his boarding pass when he got there, but he never did,” Eisenman said. His flight was scheduled to depart at 10:30 a.m. "But I don't think he ever made it," she said. She said his cell phone just rang when she called. The couple had known each other since meeting last year on a health and fitness retreat in the United States. Migom was a friend of her brother’s. The couple started dating on October 29. She remembers the exact date. He had booked his flight to visit her in the States. Raghavendran Ganesan, an Indian citizen and Infosys employee, has been missing since the attack, his brother said. His brother wrote on Facebook that the Indian Embassy in Brussels is searching for his brother. The family of the Dutch siblings who had been missing since the airport blasts confirmed that Sascha and Alexander Pinczowski died. “We received confirmation this morning from Belgian Authorities and the Dutch Embassy of the positive identification of the remains of Alexander and Sascha," the family said in a statement. "We are grateful to have closure on this tragic situation, and are thankful for the thoughts and prayers from all. The family is in the process of making arrangements." The siblings were in the Delta Air Lines ticket line at the Brussels Airport to check in for their flight to New York when the bombs went off. Alexander was talking to his mother on the phone when the line went dead, Jim Cain, a former U.S. ambassador to Denmark, told CNN. Carolyn Moore told CNN her daughter, Stephanie Shults, and her husband, Justin Shults, died in the Belgium attacks. They had dropped Moore off at the airport. Moore, who was just about to walk through security, was knocked over by an explosion. She's now having trouble hearing in one ear. Moore remains in Brussels and has been in touch with family in the United States. The couple were working in Brussels and were expected to move back to the United States in 2017. 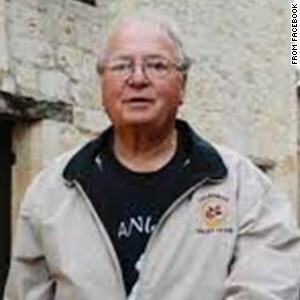 Former Belgian ambassador to the United States Andre Adam died in the Brussels attacks Tuesday, Belgian Ministry of Foreign Affairs Spokesman Didier Vanderhasselt told CNN. He and his wife, Danielle, were at the airport at the time of the attack. Their daughter, Gigi Adam, initially had no news about her parents. 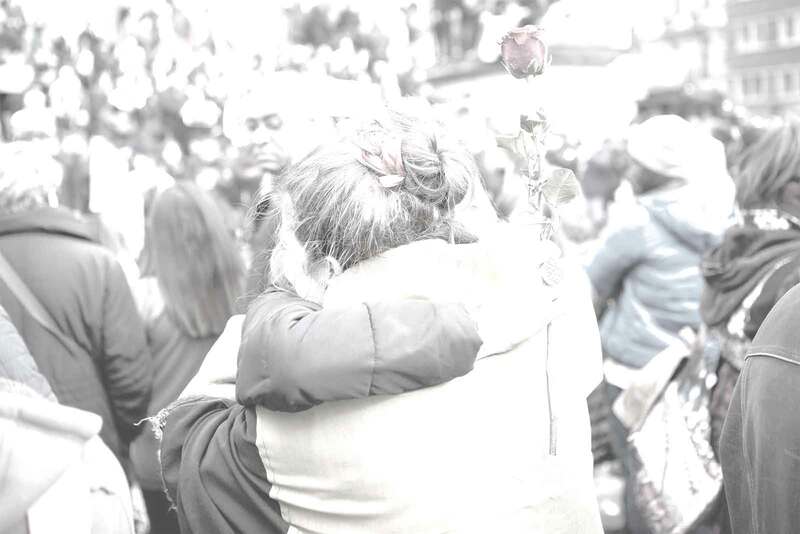 Hours after the attack, she learned her mother was taken to a hospital in Flanders. 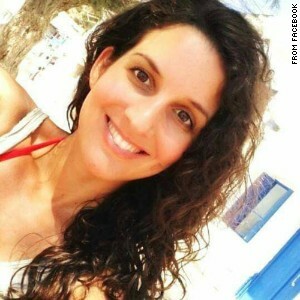 Patricia Rizzo, an Italian citizen, went missing at the metro, her cousin wrote on Facebook. "We hope and believe that she is among those that survived, but who still need to be identified. 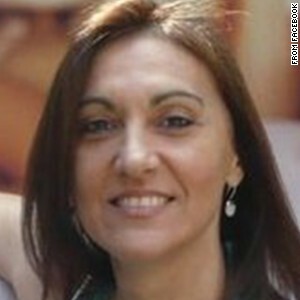 We're searching for her day and night," her cousin Massimo Leonora wrote. Italian media report that Rizzo's grandparents, originally from the Italian province of Enna, moved to Brussels years ago, and the family stayed in Belgium. Italian media said Rizzo's parents have submitted DNA to help identify their daughter. 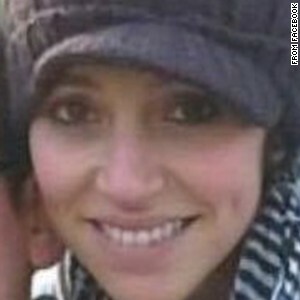 Aline Bastin's employer, CER Railways confirmed her death: CER Railways told CNN their employee Aline Bastin was one of the Brussels attacks victims. 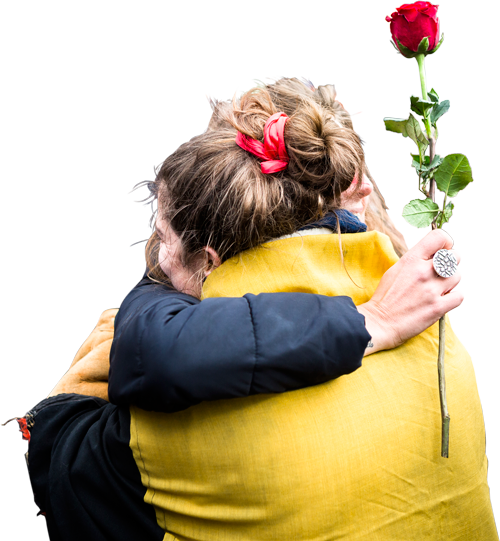 The statement on the website says "Our colleague, Aline Bastin was in the Brussels metro on her way to the office on Tuesday at 9.11 when the terrorists attacked. The CER team is deeply sad and would like to express their support to her family." LOCAL REPORTS: Bastin's family believes she was at the Maelbeek metro station at the time of the attack and haven't heard from her since. The 29-year old lived in Brussels but grew up in Liege, Belgium, where her father is a physician, according to local media.Bastin is "a young woman full of life and always smiling," friend Ken Charton wrote on Facebook, pleading for any information about her. 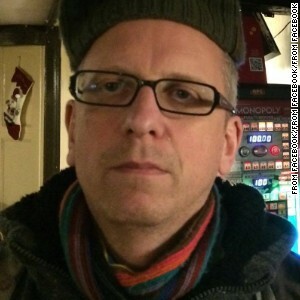 The British Foreign Office confirmed David Dixon died in the attacks. Dixon's family believes he was at the Maelbeek metro station. His aunt sent him a text message after the airport attack, and he replied soon after he was fine, Charlotte Sutcliffe, his longtime partner, told the European edition of The Times of London. “He obviously took the train with the bomb, otherwise he would have got to his office,” Sutcliffe told the Times. In a statement provided by the Foreign Office, the family said: "At this most painful time our family would gratefully appreciate it if we could be left alone to grieve in private." Dixon and Sutcliffe have a son. Johanna Atlegrim's friends and family believe she was in the metro at the time of the attacks. She is a 31-year-old Swedish woman who has lived in Brussels for many years. Atlegrim studied at Ecole Nationale Superieure des Arts Visuels de La Cambre and is an illustrator, according to her Facebook page. Friends describe her as tall and thin with large eyes. 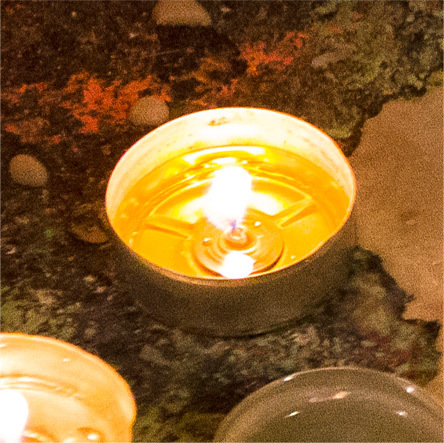 "The sweetest of all, help us find her," Frédérique Halbardier wrote on Facebook in French. Mélanie Defize, 29, a Belgian music producer, died after the attack in the metro, according to a co-worker. 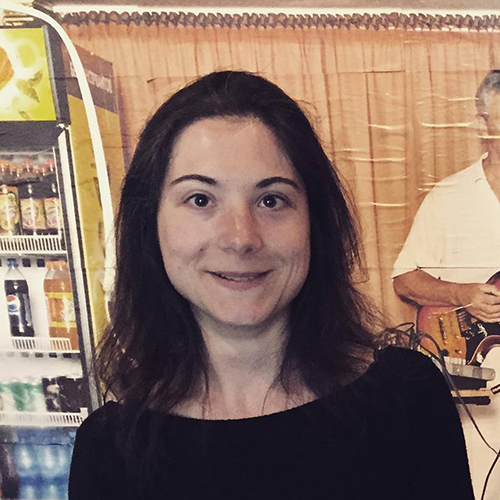 "She was very passionate about music," said Cédric Hustinx who worked alongside Defize at Cypres Records. Defize was a musicologist who studied music therapy. Opera was one of her passions. Defize had been working on a contemporary opera at the time of her death, Hustinx said. She was a baroque violinist who started playing the instrument at age 4. A music teacher of hers will play Defize's violin as part of a tribute at her funeral, Hustinx said. Colleagues are working to put together a tribute album and concert sometime soon. Gilles Laurent's family believes he was at the metro station at the time of the attack and have not heard from him since, his cousin wrote on Facebook. Laurent was a sound engineer for film. 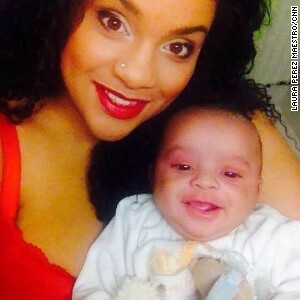 Sabrina Esmael Fazal, 24, went missing after taking the metro to her university.Jonathan Selemani, 25, has been scouring the city's hospitals looking for his partner and the mother of their 1-year-old child. "I saw her in the morning, before she went to school, before she was leaving for class," Selemani said. "Then when I learned the news, I immediately started looking for her. I haven't found her. I don't know how I'm going to explain it to my son." 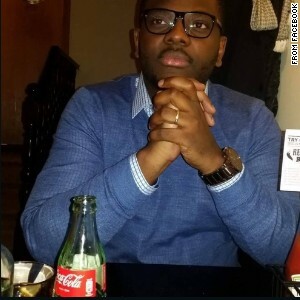 Yves Cibuabua Cyombo was at the metro at the time of the attack and has not been seen since, his uncle told CNN. Cyombo is a student living in Brussels. His last text before the attack was to his younger brother, saying he was getting on the metro at Maalbeek.“We still believe in a miracle,” his brother wrote on Facebook. Loubna Lafquiri is believed to have been at the Maelbeek metro station at the time of the attacks and has not been found. She is a physical education teacher at La Vertu, an Islamic school in Brussels, Mohamed Allaf, the school's co-founder told CNN. Lafquiri was born in Brussels,and her parents are originally from Morocco. She is married with three sons. Her family has been in contact with hospitals since the attack and provided DNA samples in hopes of positively identifying her, Allaf said. The family has been told it can take up to three weeks to identify victims. Fabienne Vansteenkiste was in the airport at the time of the attacks, her family said on social media. The family is holding out hope but is prepared for the worst, Vansteenkiste's daughter wrote on Facebook. Vansteenkiste's car is still at the Brussels Airport, where she also works, her friend Marianne Couderé wrote on Facebook. Janina Panasewicz was on the metro around the time of the attacks, Anabelle Schatten wrote on Facebook. Panasewicz has been described as having a scar from recent thyroid surgery. It's believed she was wearing black pants and a gray jacket at the time of the attack.